This course is designed to assist students as they make the transition between the concrete subject of arithmetic and more abstract subjects like algebra and geometry. This is accomplished by working with variables, variable expressions, equations, inequalities, and formulas. 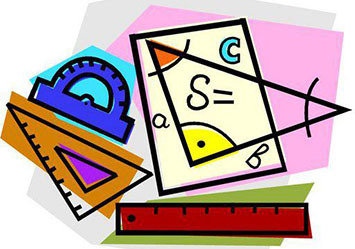 Subjects covered in earlier math courses such as fractions, ratios, percents, exponents, roots, and probability are studied in further depth for greater mastery. The students also explore basic algebraic concepts and skills. The course is taught so that a wide range of abilities is challenged through riddles, puzzles, and more complex mathematical problems supplementing the daily coursework. In addition to the specific arithmetic, algebraic and geometric skills and concepts mentioned above, this course aims to develop students’ ability to communicate technical information and mathematical knowledge, which places a heavy emphasis on the processes and reasoning to support answers as well as proper mathematical notation.